Through a series of small errors and oversights – a missed phone message, an unlocked high-security door, a lax in protocol, a falling purse – eight-month pregnant Annabelle Waring unknowingly stumbles into her husband’s time-travel experiment. She awakens in a 1943 Charleston Navy Shipyard barracks with no memory of the event. Her existence and her sanity become questionable; if not for her newborn baby and a Charleston, South Carolina police officer, she would certainly have checked herself into the funny farm. Her doctor, alias German spy, learns before she does that she is not only a time-traveler, but a highly educated woman in the field of nuclear science and World War II history. 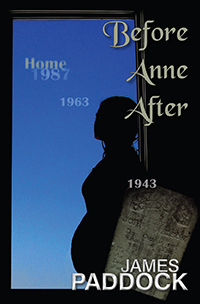 When she finally discovers her own secret, Anne must strive to get both her and her infant daughter home, even at the risk to her own life. "If you like intrigue, suspense, and alot of twists this is the book for you!! I started reading it and could not put it down after the first chapter. I am a big sci-fi fan and I read the 500+ pages in a little over four days!! YOU NEED THIS BOOK!! It will make you mad, sad, happy and hanging on the edge of your seat!!" Mel C. "cubbyandmel"
"I would highly recommend this book to anyone who enjoys intrigue and science fiction. It is a long book but I so enjoy full fleshed books! If you do too, I suggest you give this one a try." Sunday S. Smith "A Book A Day Reviews"